Known as the state that is wild and wonderful, Virginia gambling entertainment includes off-track wagering, pari-mutuel betting, and horse races and that pretty much sum up the gaming opportunities available to the citizens. Greyhound racing and casinos are prohibited by the Virginia gambling laws, although what is permitted is gambling venues for charitable gaming, gambling laws change all the time, and sometimes for the best. In the United States, the most common types of gambling include pari-mutuel gambling, commercial casinos, charitable gambling, the state lottery and tribal casinos. The state laws govern the regulation of legal gambling operations, and what types of gambling are legal. The laws in Virginia are quite restrictive and gambling defined as betting on the outcome of contests and games that depend on chance. The state-sponsored lotteries include Mega Millions, Pick 3, Pick 4 and Powerball, all proceed goes toward the improvement of K-12 education. Senator Lucas has tried several times to introduce legislation that could see casino gaming enacted by the state of Virginia, yet every time it failed for different reasons. After trying again in January 2017, the Senator pointed out to fellow legislators that Maryland casino was sucking the dollars from the state since the opening of the MGM National Harbor the previous December. Lucas wants to see funds that currently go to Maryland coming back to Virginia. Lawmakers, in most cases, showed no interest although the executive director of the lottery stated that lottery officials could oversee a gaming venue should the general assembly allow it. Although the Senator failed to get the gambling bill passed, her efforts did get Senate Bill 1400 approved, which allowed organisations that offer bingo to also have the option of adding poker games, a measure that allows the regulating of poker tournaments by the state. In February 2018, The Roanoke Times placed the news that Virginia lawmakers are warming up to new betting machines at racetracks, this made the front page. After years of battling the thought of gambling, the lawmakers in Virginia decided to permit new betting machines. Legislations that are gambling related has always faced a tough road in the General Assembly that was GOP controlled. Things have changed, and now the Republicans have fewer seats, meaning less control, and after the last election, some of the lawmakers who previously voted against gambling might have had a change of heart. The legislation that allows bettors the opportunity to place bets at Colonial Downs or from satellite location to wager on races that have already taken place leads to looser gambling laws and could speed up the legalisation of video slot machines. On the 30th of June, historical horse racing became legal in Virginia, an action in the right direction that could possibly bring new hope for those waiting for the legalisation of casino gaming. Until such time, Virginians can join hundreds of online casinos featuring a wide variety of games including slots, several variations of card/table games including blackjack, poker, baccarat and roulette, live dealer games and progressive jackpots. What counts most is that games at online casinos are accessible 24/7 and enjoyable on desktops, laptop or handheld devices. 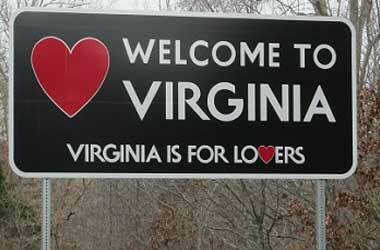 This means players from Virginia can cut out the cost of travelling and enjoy gaming when it suits them best. Apart from the extensive gaming variety available at online operators, other benefits unlocked by online casino membership include generous bonus offers, 24/7 assistance, loyalty rewards, new game additions on a regular basis and a wide variety of banking options offered in a safe and secure environment. With so many online casinos competing to attract new members, Virginians can really pick and choose from hundreds of online casinos. What is most important is to select an online operator that is approved by one of the most reputable licensing authorities, such as the Government of Curacao, Alderney Gaming Control Commission, the Malta Gaming Commission or the UK Gambling Commission. These licensing authorities have strict regulations and rules in place to ensure players enjoy fair gaming in a safe environment. The variety of bonuses at online casinos include welcome packages, loyalty bonuses, deposit bonuses, free spins and cashback bonuses. Welcome packages or bonuses are exclusive to new members and activate upon the initial deposit. These range from 100% to 200% or higher and gives players a great start by doubling or tripling their bankroll. Like all other bonuses, it is subject to terms and conditions. Cashback bonuses, also called second chance bonuses is available to all existing members and provides a percentage-based bonus on previous losses. Online casinos show their appreciation for loyalty via a point system, and members can collect points to exchange for bonuses or other items. By reaching VIP status, the incredible selection of benefits includes higher points conversion rates, personalised bonuses, 24/7 VIP assistance, birthday and anniversary bonuses as well as invitations to exclusive events. At online casinos, the betting options are as extensive as the gaming options and every player’s personal spending habits, are well catered for, via a wide variety of coin denominations. All games can be played by selecting the minimum bet, the maximum and everything in-between, slots play starts at a low bet of $0.01 increasable to $200,00 or more, table games such as baccarat $1.00 up to $500,00, craps $1,00 up to $500,00 and VIP games such as Blackjack starts from a minimum stake of $50,00 up to $2000.00. Online casinos use the same digital encryption technology as banks to ensure members personal information and sensitive banking details are completely safe and secure. What makes online banking options so convenient is the variety of currencies accepted. The cashier section offers a list of deposit and withdrawal options, which at most operators include debit/credit cards such as Visa or MasterCard. Numerous e-wallet options are available including Neteller, Skrill, PayPal and PaysafeCard, while Bank Transfers is also a great option. Many online casinos have also added cryptocurrencies to their list of accepted payment methods, which provide members with complete anonymity and in most cases the fastest payouts. Most deposit methods at online casinos clear instantly, which provides players with the option to play games immediately. When luck is on your side, and you are finally hitting that long-awaited big wins, it really matters how fast your cashout takes to reflect in your bank account. The time-period a withdrawal takes depends greatly on the method the player selects, debit cards, as well as credit cards, take up to three days. The pending withdrawal period also hugely affect the payout period, and it is important to check if payouts are processes at specific times or 24/7. E-wallet payments can take anything from one day to three although some of the major brands guarantee payouts within 24 hours. Cryptocurrencies such as Bitcoin or Litecoin withdrawals are mostly instant or within a few hours.